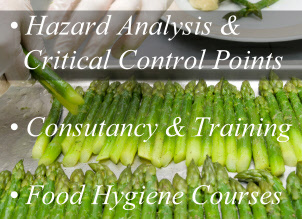 Food Hygiene Services Ltd provides training and consultancy in food safety, HACCP, and nutrition. We are dedicated to helping the food industry meet the demanding standards that the customer and enforcers expect through the operation of an effective food safety management system. (2) identify the critical control points at the steps where control is essential. (3) establish effective monitoring procedures at critical control points. (4) establishing corrective actions when monitoring indicates that a critical control point is not under control. (5) prove that the system works and check that it is being followed properly. 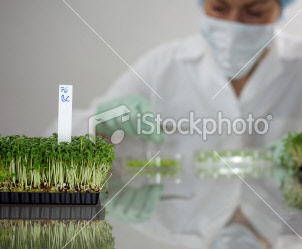 (6) review the system when any modification is made. Welcome to our new website. We hope to have some more information up here soon. The Director and consultant is Yvonne Garraway who is an Environmental Health Officer and a Member of the Chartered Institute of Environmental Health. She has 23 years of experience in a diverse range of food industries, ranging from meat inspection, sandwich production, cooked meats manufacturing, bakeries, ice cream production, the fish industry, catering and a particular interest in cheese manufacturing. Food Hygiene Services and Food Safety Consultancy and Training in Lincoln, Lincolnshire, Nottinghamshire and the East Midlands.